When you enter into business with a customer and take money from them, you have a duty to them to be there for them whenever they need you. You owe them this. So, you need to ensure your business is hospitable and open at all times, even after working hours. For advice on how to do this, specially how to hone modern day technology in order to do this, make sure to read on. Customers like to be able to get in contact with businesses in their own time; whether you like it or not, this fact remains. What’s more, customers now like to get in contact with businesses using online technology. And, when you take both of these customer desires into consideration and combine them as one problem, there is only one solution: install a live chat feature on your business’s website. What this feature does is sit on your website 24/7, just waiting for customers or potential customers to access it and ask it questions. What it will then do is reply to these customers in real time, meaning a real time engagement is made at all times. In order to ensure that your live chat feature is up and working, you first need to ensure that your actual website is up and running too. Simply, if ever a customer logs on to your site and sees that it is down or cannot access anything on it, they won’t stay around for too long. Instead, they’ll jump straight over to a rival business of yours site, and then probably even provide that business with their custom instead of yours. This all means one thing: a down website can lead to a loss in custom. So, ensure your site’s never down. Have a piece of technology that watches out for website downtime, such as UptimeRobot. This piece of technology (and no, it’s not an actual robot) watches websites with great scrutiny at all times; once it sees that the site is down, it will alert the owner of it to that fact right away via SMS or email right. It is then the owner of the site’s job to get it back up and running before any potential customers log on to it. No, this doesn’t mean going all Star Trek and hiring holograms to sit on reception for you. This means getting in contact with a virtual receptionist or call answering service, of which you can find out more here when it comes to you doing so, in order to answer the phone for you at all times. And yes, this doesn’t just mean during your business’s hours of operation during the day, this means at all times. 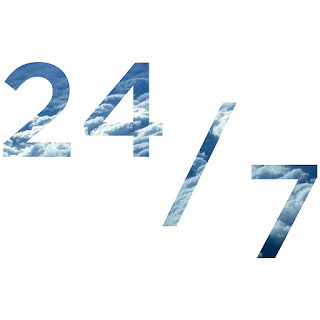 Come day or night, rain or shine, holiday or not, your phones will be answered by a real life person; your business’s name will be mentioned right at the beginning of the call, and any messages the caller wants to leave will be taken by the virtual receptionist and delivered straight to you. By doing this you would be able to create the illusion that your business is in operation 24/7, when in actual fact it is not. The need to appear to be in operation 24/7 is probably something that your business is ignoring, but it certainly shouldn’t be ignoring it.